Boulevard & Ommegang for Beer Thurs+Highland Brewing Fri & Weekend Wines! 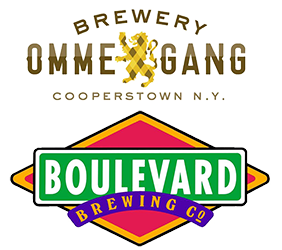 This week for our Free In-Store Beer Thursday Tasting, we will have the folks from Brewery Ommegang and Boulevard Brewing Co. here to let you try some of their delicious brews! In October of 1997, not far from the birthplace of baseball, ground was broken for what was to become America's most unique microbrewery. Based on traditional Belgian farmhouse architecture and set on a former hop farm in upstate New York, Brewery Ommegang was born with the philosophy that truly unique ales must be built from the ground up. 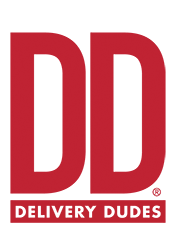 This Friday, we will have the folks from Highland Brewing out of Asheville, North Carolina in the store to let you sample their brews! Highland founder, Oscar Wong, was born in Jamaica in 1940. At 18, he left the island to attend the University of Notre Dame, where he completed his masters in Civil/Structural Engineering. After retiring early from a successful engineering career that took him all over the country, Oscar landed in Asheville in 1994 and started Highland Brewing "as a hobby" in the 3,500 square foot basement of Barley's Taproom in downtown Asheville. 60% Arinto, 30% Azal, 10% Loureiro grapes. Arinto brings bright acidity and aging potential, Azal is citric and fresh and Loureiro is aromatic and delicate. Clean, lively flavors of lime, ripe pink and yellow grapefruit. Slight effervescence. This wine is fresh with aromas of juicy peach on the nose, accented by notes of orange peel. It is well-balanced with vibrant acidity and pronounced mineral qualities. Fruit, acid, and body come together seamlessly to showcase the wine’s elegance. A native grape of the region, Xarel.lo is pure, vinified entirely in stainless steel to showcase the natural characteristics of the varietal. Enjoy young. Intense in color with purple reflections. It has a bouquet of ripe red fruit with some floral notes & white paper spices. On the palate it is well balanced, elegant dry and complex. This unoaked, 100% Tempranillo comes from a small co-op with some amazing old vines that are over 100 years old. It's surprisingly serious and structured and over-delivers for the price. Aromas of deeply pitched black fruits, licorice and damp clay lead to a palate of dark fruits and loads of chalky minerality. Oskar Blues for Beer Thurs+Weekend Wines+Deep Bay Canned Cocktails Fri & Jackalope Sat! 4 Sons Brewing Thurs+Dixie Vodka & Codigo Tequila Fri+Wines w/ Lana Sat!